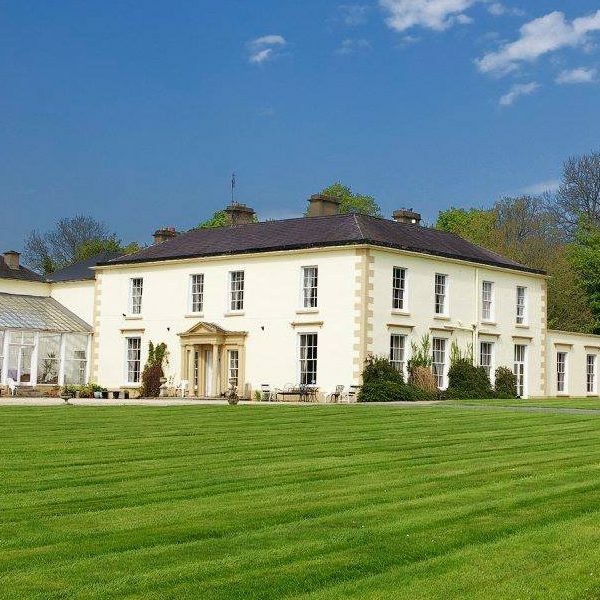 Castle Grove Country House Hotel is one of the few remaining family run private estates in the North West of Ireland. Located six miles north of Letterkenny, it provides the perfect base to explore the beautiful scenery of Donegal and the Wild Atlantic way. This near-original Georgian house was built in 1695 and is situated at the end of a mile-long avenue on the shores of Lough Swilly. The 250 acre grounds are made up of farmland and extensive gardens that were designed by Capability Brown. Today, Castle Grove House is a 4-star Country House Hotel run by the Sweeney Family, and the dedicated team of staff that extend a warm and friendly welcome to all. The hotel itself has a grand entrance hall, two spacious drawing rooms, a beautiful dining room, library, cosy bar and 15 en-suite bedrooms. All rooms are furnished with antiques and luxury fabrics, adding to the charm and old world grandeur of the hotel. The award-winning restaurant provides excellent cuisine which is all prepared in-house by our Master Chefs. They combine a wide range of locally sourced produce, with seasonal fruit and vegetables organically grown in Castle Grove’s very own four acre Walled Garden. Castle Grove is the perfect venue to make any occasion special; whether it be for afternoon tea, Sunday lunch, an evening meal, or a cocktail on the lawn in the Summer. The restaurant and drawing rooms with their ample space and relaxing allure are perfect to enjoy a nice glass of wine by the fire, romantic night away, or truly special occasions such as weddings, anniversaries and birthdays. Castle Grove serves fresh locally sourced produce, all within the county, including fruit and vegetables from it’s very own Walled Garden. The restaurant serves a wide range of products from the breakfast menu to Afternoon Tea, to Sunday Lunch to the Dinner Menu. Please see sample menus for each attached along with the application form and a list of providers below.